Do you need new tires? If so, you’ve come to the right place! 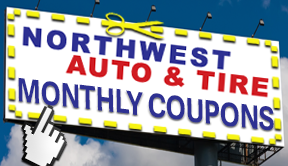 At Northwest Auto & Tire we offer all major tire brands. 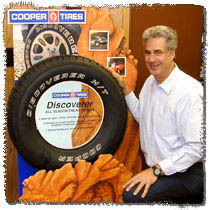 This includes brands like, Michelin, Goodyear, Hankook, Cooper and many other brands. We understand what a hassle it is to have to give up your car for routine service. To minimize your down time we have established accounts at three different major warehouses. We get deliveries twice a day from all three warehouses. This allows us to offer our customers “Same Day Service”. Our goal is to get you back on the road as quickly as possible. So when it comes to selection, we are proud to offer you many great choices, at great prices, and often with “while-you-wait” service. Our certified technicians can handle most any tire or wheel package, using the latest mounting and computerized balancing equipment available on the market today. 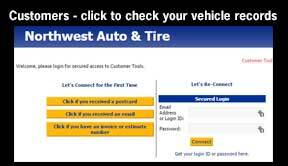 Did your old tires wear out due to alignment problems? Tires are expensive, and we want to be sure you get maximum life from them. By using the latest computerized wheel balancing and alignment equipment, we can be sure you will get maximum life from your tires. So if you are in need of a new set of tires, call us now at 847-872-2211 and let the experts at Northwest Auto & Tire help in your search for the best deal in tires for your vehicle. 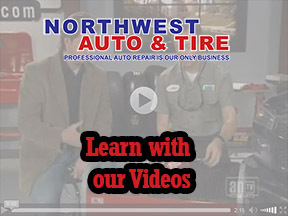 And Northwest Auto & Tire is much more than just a tire shop. 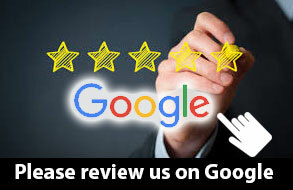 We take great pride in the level of service we provide our customers. From routine maintenance of your vehicle, to proper diagnoses of sophisticated automotive computer systems. We offer only the best in service and quality of workmanship. Be sure to check out our monthly coupons by clicking here.